In a recent Health Affairs blog, Alex Goldsmith does a back-of-the-envelope analysis of the peculiar economics of healthcare. According to the Bureau of Labor Statistics, employment in healthcare increased by 1.149 million people from 2007-2011. He contrasts this increase in employment (read increased cost) with declining hospital admissions, low single-digit growth in hospital outpatient volumes and declining physician office visit volume (read declining economic output). A New England Journal of Medicine article published in Oct. 2011 also showed a net percentage decrease in productivity growth (see figure below). Over this same time period there has been steadily increasing investment in IT for hospitals and doctor’s offices much of it as a result of the HITECH Act that was passed in 2009. Compared to ten years ago, more healthcare workers are doing less healthcare with more information technology. And little over a week ago a Wall Street Journal op-ed by Stephen Soumerai and Ross Koppel pulled no punches, calling the savings to be gained from IT in healthcare “chimerical.” We have known for a long time that providers themselves insist that productivity drops after installing an EHR and there is little evidence to refute such claims and plenty of evidence to support them. 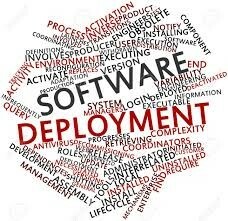 The absence of productivity improvements or cost savings after big IT investments is neither new nor unique to healthcare. Way back in 1987, Nobel laureate and MIT professor Robert Solow famously said, “We see computers everywhere but in the productivity statistics.” For the next ten years, economists leveled forests (this was a pre-internet time after all) trying to explain away the Solow productivity paradox. While the dotcom boom rendered productivity paradoxes as interesting as bell-bottom pants, few would now contest that increased use of IT drives productivity improvements. It is just a long journey to get there with some successfully surviving the journey and others not. There are plenty of examples in other industry sectors of companies that did not effectively adopt and use IT, ultimately contributing to their downfall. The EHR Incentive Program and all of the other IT-related ONC and CMS programs have a host of now familiar policy objectives. The fact that IT is at their center says loudly that CMS is trying to coax incremental productivity improvements from a reluctant system. So where are the productivity improvements in healthcare? While we are only one year into the meaningful use (MU) saga, we would argue that we are seeing three things: 1) the limits to IT as a productivity-boosting panacea, 2) a lag between the investment in IT and a productivity payoff and 3) an existing reimbursement model that does not effectively support IT adoption that is in alignment with meaningful use objectives. Providers that invest: Most of the current incentives for IT adoption are aimed at the point of the healthcare spear: CMS is willing to pay most frontline clinicians in private practices, clinics and hospitals to adopt IT. These same frontline clinicians, however, are increasingly frustrated and burned-out by the fee-for-service treadmill. 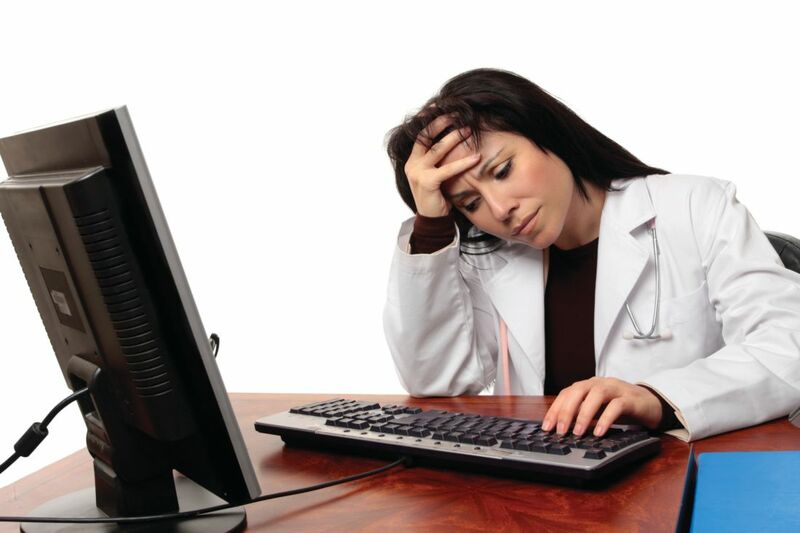 Simply getting a primary care physician (PCP) to meaningfully use an EHR will not allow her to suddenly double her patient load. If anything, it will likely decrease office productivity for at least a year as all staff members become familiar with and effective in using an EHR. Measures like the Stage 2 MU objectives build on that basic EHR to let that same PCP leverage work done in other parts of the healthcare system to deliver more coordinated care. The PCP still can’t double her workload but she might be able to accomplish more in each encounter. In this instance, we see the lag between the investment in a basic EHR and the enhanced productivity of a more interoperable EHR, a time lag measured in years. Providers that do not invest or under-invest: These incentives are not available to some segments of the provider community (e.g. skilled nursing facilities, behavioral health facilities). The limit is that non-incented providers presumably will invest modestly or not at all in EHRs, interoperable or otherwise. In this instance, the lag may well be a very long time. Further, incentives are voluntary. Eligible providers can IT-up and take the money — or not. 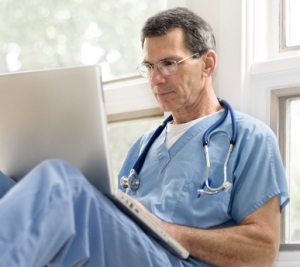 Nearly half of eligible hospitals have collected something under the EHR Incentive Program. The ranks of qualifying EPs, while still low, continue to grow and we will likely see a majority of EPs sign-on to this program. The Wall Street Journal op-ed claims that ONC and providers are captives of the healthcare IT vendors. The authors suggest that vendors, presumably in an effort to protect their markets, blocked efforts to make EHRs more interoperable, effectively blunting cost or productivity improvements. This is a fair criticism, probably true, and a clear limit to what we could expect from Stage 1 MU. However, providers in a pure fee-for-service world have rarely found sufficient value in adoption of EHRs to justify the investment, thus the need for incentives. 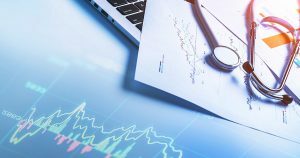 As the market slowly shifts reimbursement to value-based metrics, the justification to invest in an EHR begins to look more attractive to a PCP. Coupling this with future, MU Stage 2, certified EHR solutions that will better support care coordination across a heterogenous EHR landscape in a given community, the potential for true improvements in productivity appear promising. There is even a potential silver lining for providers that do not invest or under-invest as even the left-behinds have at least have a fax machine and a browser and may begin to enjoy some of the productivity gains of a reformed, networked system. The network effect that kicks-in over time may like a rising tide, lift all boats. But this is a very slow tide that will rise over many years. Now the question is: How many of those boats have holes in them and will forever rest on the ocean’s bottom or does the tide simply rise too slow and others just pull their boats out of the water? Note: This post has been authored by our newest analyst, Brian Murphy a former employee of Eclipsys, IBM and others as well as a former analyst for Yankee Group. Find out more about Brian on our About page. The federal government, via the HITECH Act, and many an EHR vendor are hoping for broad adoption of EHRs in the goal to digitize the healthcare sector, which today is honestly, pretty abysmal. And why is EHR adoption so low? Pretty simple really, EHR vendors have not adequately demonstrated to the market that there is indeed value creation for the end user after adoption and go live. In fact, one could easily argue the exact opposite occurs when one looks at the productivity hit a practice typically takes (20-30%) in the first year. Practices get paid by throughput, how many patients are seen in a given day, so if an EHR hits a practice with a 25% productivity hit, where does one make that up, working extra hours, laying off an employee or two? Not exactly attractive options. Yes, hospitals will adopt and meet meaningful use requirements as the future CMS penalties will simply be too painful to do otherwise. Private practices, however, may just forgo adoption and decide to not serve CMS (Medicare/Medicaid) patients. It remains to be seen what direction this will take but as I stated in a recent keynote at the PatientKeeper User Conference, the focus of EHRs and their successful deployment, adoption and use needs to be based on what is the value that is delivered to the end user, the physician/clinician. For too long and even today, all the grand talk of EHRs and adoption thereof focuses on the broader public good. Yes, there will be a broader public good but if we don’t get back to focusing on delivering true, meaningful value to the end user all this talk, incentives and promotion will fall on deaf ears and many a tax dollar will be wasted. As an aside, we have stated before on this site, the consumer/citizen may play an important role in the future. As the first comment in response to this Boston Globe article this week puts it, he/she would not go to a doctor that did not have an EHR in place. This is something that the digital natives of this nation who are beginning to get married and settle down with families of their own will increasingly demand. EHR adoption will come, the question is how fast and what will be the forcing functions. Right now, just not convinced that HITECH Act $$$ will do it at the practice level. And just by way of example regarding those youthful digital natives, my 25yr old son found both his doctor and dentist via the online user community Yelp. He’s quite happy with both.